I was upset yesterday. As much as I tired, I could not keep the tears from falling. As much as I tried, I could not bring myself back from the brink. The tears were a disproportionate response to someone else’s actions. I was with friends and embarrassed at the emotion I could not hold onto. The emotion that was unfairly spilling over into their afternoon. In the objective light of the next morning, I understand the combination of factors that led to those tears. Four hours of sleep the previous night. Four or five glasses of bubbles. A whole day dedicated to mother’s day, and in particular mothering boys. Hearing the heart break of another mother who has two boys with her and one in heaven. I was standing on an emotional ledge and it would have taken very little provocation to push me into tears. The dark stain of grief no longer touches my every day. In the early days after Xavier died, there would be good minutes amongst the bad. Then good hours amongst the bad. Eventually, good days between the bad. And that continued to stretch, until the good days outnumbered the bad. Nowadays, the bad days are far and few between. But they still hit. And the ferocity with which they hit does has not reduced exponentially in the same way that their frequency has. It’s one of the strange things about grief – you imagine that it continues to reduce, but it doesn’t – it flares. Those flares can be dis-orienting. I find myself confused, searching for why my emotions are suddenly askew after a period of gentleness. It always takes time for my head to catch my heart. And even as it dawns on me, it concerns me. I don’t want to use my grief as an excuse. 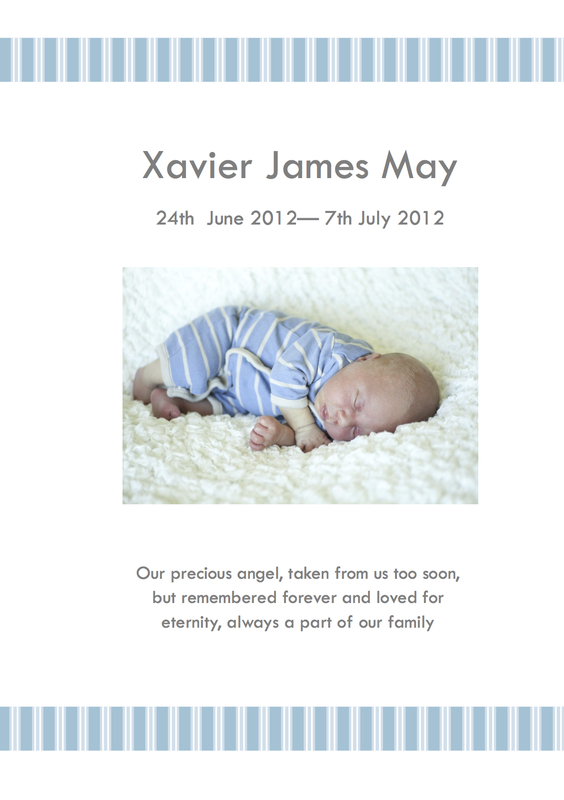 I don’t believe that my grief over my son becomes a blanket excuse for bad behaviour. I don’t want to use it as a cop-out. And I don’t want my friends and family to immediately assume that whenever I am emotional that it is tied to Xavier. Grief is a double edged sword. On the one hand, I feel that I can survive anything after living through the death of my son. That nothing can touch me after that. That every other potentially upsetting thing fades into insignificance. On the other hand, when grief has left me raw, then I am emotionally vulnerable, unable to access the resilience that his death gave me. It’s as though that heart scar has been pulled away, red and raw again, sensitive to the slightest touch. At other times, that scar tissue has hardened to a point that I don’t even feel pressure against it. But I don’t always know which emotional state I am in – sometimes the scar test is what reveals it to me. When mother’s day approaches, and with it birthdays and anniversaries soon after, I can presume a level of emotional tenderness. And hope those around me understand.